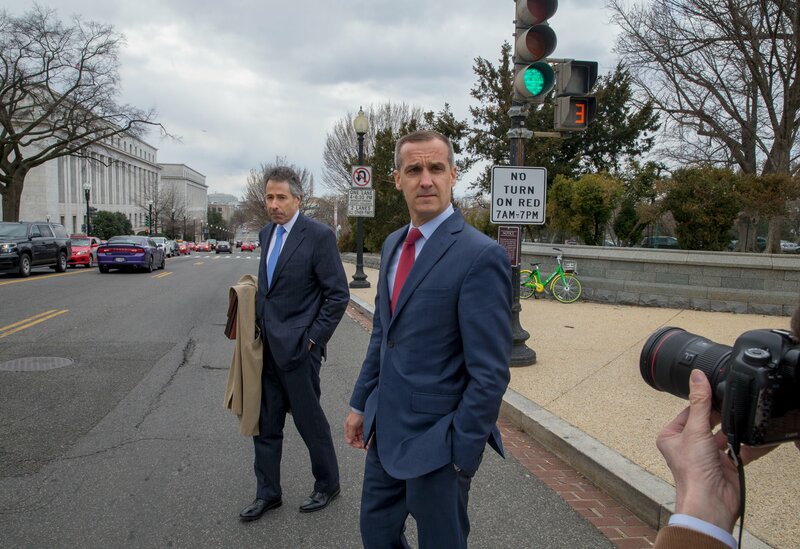 Corey Lewandowski clashed with two prominent Florida Republicans during an impromptu introduction at Trump International Hotel in Washington on Wednesday night, which resulted in the former Trump campaign manager storming out of the room. According to Politico, witnesses saw the conversation between Lewandowski, Florida Senate President Bill Galvano and Florida state Sen. Jeff Brandes descend into a “hostile debate,” sparked by a discussion over the amount of credit the president deserves for state Republican victories. The witnesses recounted that the dispute ended with Brandes standing up to point his finger at Lewandowski as Galvano politely instructed his wife to: “hold my scarf.” A few minutes later, when the situation seemed like it would erupt into a tussle, Lewandowski “stormed off,” one witness said. When asked about the incident today, Galvano confirmed to Politico that they “had a spirited conversation.” “Let’s just leave it at that,” he said. “No one was counting blows. It was just a spirited conversation.” However, Lewandowski denounced the eyewitness accounts as “not true” before discontinuing the phone call. At least three witnesses confirmed the public incident, along with two others, who had spoken to the senators but requested to remain anonymous due to the sensitive nature of the disagreement. “Donald Trump saved Florida, from the top to the bottom of the ticket,” Lewandowski said, two witnesses confirmed. Galvano reportedly agreed with the statement, but also added that Republican turnout was aided by the $44 million spent on campaigns by the Florida Republican Senatorial Campaign Committee, various GOP candidates and other committees. “Then explain to me why we maintained Senate seats in districts Trump lost by double digits,” Galvano responded, according to a witness in the room, which prompted Lewandowski to unleash aggression and escalate the situation. After a fight nearly broke out, Lewandowski was seen storming away from the vicinity.